North Shore folks like us, who delight in seeking out local artisan products such as bread from A&J King and cheese from Valley View Farm, have a new selection to try: spirits from Ryan & Wood Distilleries. Better yet, you can see the hand-crafted process yourself at their Gloucester facility. We had never given much thought to why there are so few small distilleries in the US (and none in this area). A few minutes after meeting co-founder Bob Ryan, who is clearly passionate about the subject, we understood perfectly. Ryan’s story began in 2004, when he and his nephew, Dave Wood, read about a small distiller in Northern Vermont making vodka from maple sap, and it culminated this summer, when Ryan & Wood produced their first commercially available batch of Beauport Vodka, named after the original moniker given to Gloucester by explorer Samuel de Champlain. In between is a twisted tale of expensive equipment sitting as the fledgling company waited for licensing (you can’t apply for a license without working equipment), recipe and sample submissions, and endless struggles with the Trade and Taxation Bureau on the size of the type of the labels. And that’s before you get to the taxation, which is prohibitively high. Fortunately, that’s all behind them now, and the business is up and running. In a few weeks, Knockabout Gin and Folly Cove Rum will join the vodka on the shelves of local restaurants and liquor stores. 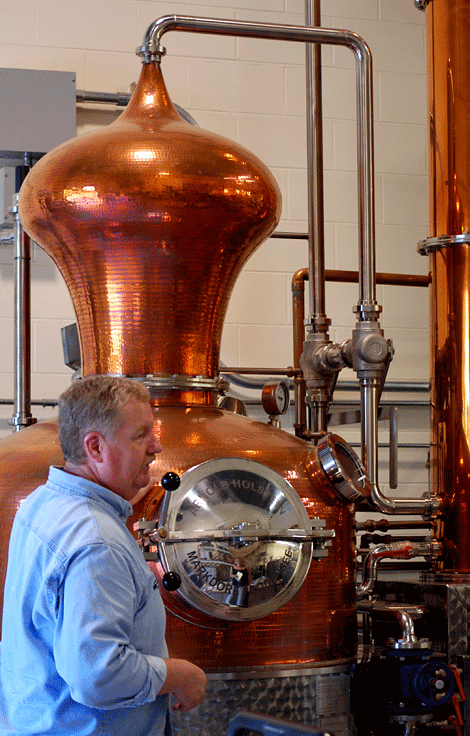 In addition to being locally made from grain to final product, these spirits are carefully produced in small batches using top-quality ingredients. The vodka has just a hint of citrus flavor and is intentionally “thin” to mix well in cocktails. One reason it stands out is the water used in the process, which is filtered as many times as the alcohol. 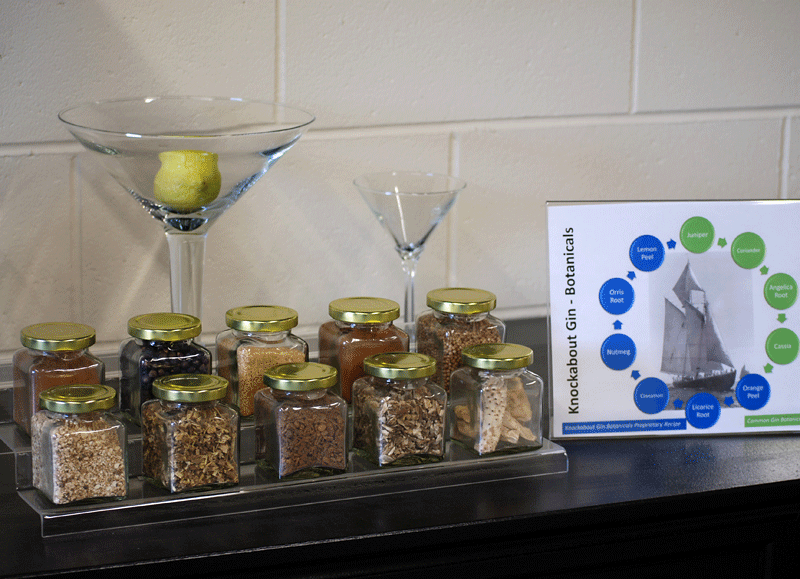 The gin gets special treatment, too, in the form of 10 botanicals that are infused into the distillate for no less than 12 hours. (The gin drinker in our group pronounced it outstanding.) Likewise, the molasses used in the rum is fine quality, and the aging takes place in charred oak barrels. 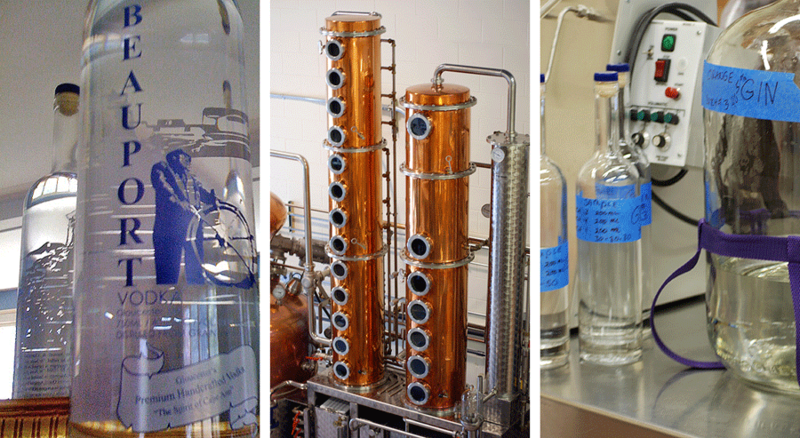 Each of the products is made in a gorgeous Arnold Holstein still that was custom built to allow fractional distillation for the highest quality. Tourists and locals can see it in action at 10:00 a.m. on Thursdays, Fridays, and Saturdays (groups can call to arrange tours for other times). In the meantime, you can seek out Ryan & Wood products at places like Ryal Side Liquors in Beverly, Chebacco Liquor Mart in Essex, Causeway Liquors in Gloucester, Duddy’s Liquors in Peabody, and Shubie’s in Marblehead. You can also request it at many North Shore bars and restaurants, including Franklin Café in Gloucester, Maddie’s Sail Loft in Marblehead, and Indigo Bar & Grill in South Hamilton, where they feature it in a ginger martini. Or you may want to try it in what Ryan says is the “in” drink this summer: The Tennis Ball is made in a rocks glass, over ice, with equal parts Beauport Vodka and club soda with a splash of Rose’s lime juice and a lime wedge. How’s that for crisp and refreshing? We’re no master mixologists, but using hand-crafted spirits in our drinks and supporting the local economy at the same time sounds like the perfect cocktail.